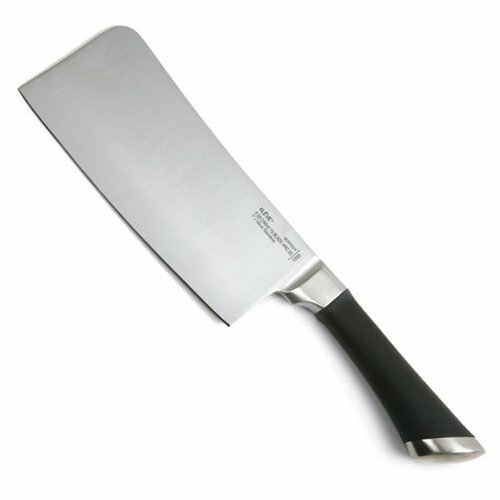 Norpro KLEVE 7-inch cleaver is for chopping through joints and bones. Features stainless steel molybdenum Vanadium steel with tapered grinding and stone finish blades. Double bolsters for superb balance. Comfortable, ergonomic soft grip handles. Handle made of ABS plastic. Blade Measures 7"/13cm/ Handle Measures 5.5"/14cm. Hand washing recommended - never put knives in dishwasher, it will dent and chip the blade.